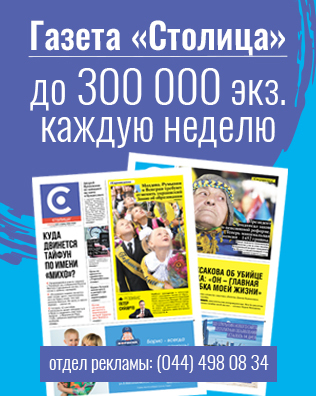 Dorosh О. І., Troyanovska O. O., Оcheretna О. M., Kitsera N. І., Іvanenko A. L., Seredych L. P., Myh A. M., Tsymbalyuk-Voloshyn I. P., Bezkorovaina G. M., Melnychuk L. W., Tysyachna L. M., Mikula М. І., Bidyuk W. M., Stepanyuk A. I., Kozlova O. I., Dubey L. Ya., Polishchuk R. S., Skoropad L. L., Vorobel O. I., Savchak І. Ya. The researchers analysed clinical symptoms, laboratory data and special features of haematopoiesis in 26 children with Down syndrome (DS). High incidence of congenital malformations are common for DS, thus 69.2% of them had congenital heart diseases, with predominance of common atrioventricular canal and ventricular septal defect. In the group of children with 21-Trisomy several haematological disorders were found, such as: iron deficiency anaemia (30.8%), transient abnormal myelopoiesis (19.2%), and immune thrombocytopenic purpura (15.4%). In 3 out of 5 children with transient abnormal myelopoiesis, the clonal diseases were revealed: myelodisplastic syndrome, idiopatic myelofibrosis and ganglioneuroblastoma. It can be suggested that transient abnormal myelopoiesis is a stand-alone nosologic unit, transient myeloproliferative disorder, which regresses spontaneously in 2 out of 5 patients, but can proceed to the severe clonal diseases. Children with DS are predisposing to the malignant haematopoietic diseases: an acute myeloid leukaemia is recognized in 15.4% and an acute lymphoblastic leukaemia in 7.7% of cases. Non-Hodgkin Lymphoma and solid tumours are rare among children with 21-Trisomy (3.8%). It was found that for children with DS complicated with acute myeloid leukaemia, the program chemotherapy is highly effective. In the case of B-cell lymphoprolifer-ative diseases the treatment with methotrexate, even in low or moderate doses (0,5g/m2 or 2g/m2), causes severe toxic damage of skin, mucosa or visceral organs. The general survival of children with DS is 0.68. Key words: children, Down syndrome, transient abnormal myelopoiesis, anaemia, acute lymphoblastic leukaemia, acute myeloid leukaemia, congenital defect. 1. Hnatejko OZ, Zastawna DV, Kitsera NI et al. (2003). Dynamics frequency of Down syndrome in the Lviv region for 1985-2001 years. Perynatologiya i pediatriya. 2: 50-53. 2. The population of Lviv region. (2017, May 10). Wikipediya, from https://uk.wikipedia.org/wiki/. 3. Bojchuk TM, Sorokman TV, Lastiwka IV, Ryznychuk MO. (2011). The prevalence of chromosomal aberrations among the child population of Chernivtsi region. Bukowynskyj medychnyj wisnyk. 1(57); 15: 24-29. 4. Kyselyowa OO, Ewtushok LS. (2006). Down syndrome (trisomy 21). Medicus Amicus. 2: 15, from http://www.ibis-birthdefects.org/start/ukrainian/udown.htm (viewed on May 10, 2017). 11. Tenenbaum A, Malkiel S, Wexler ID et al. (2011). Anemia in children with Down syndrome. Int J Pediatr. 2011: ID 813541. 27. Chen J, Yousif F, Beck T et al. (2014). Differences of somatic mutations and gene expression in blasts of transient leukemia and acute myeloid leukemia of Down syndrome. Blood. 124: 2364. 46. Lorenzana AN, Schorin MA. (1989). Non-Hodgkin's lymphoma in a neonate with Down's syndrome. Case report and literature review. Am J Pediatr Hematol Oncol. 11(2): 186-190. 47. Hasle H, Friedman JM, Olsen JH, Rasmussen SA. (2016). Low risk of solid tumors in persons with Down syndrome. Genet Med. 18(11): 1151-1157. 48. Draghi F, Bonardi M, Dellabianca C et al. (2011). Lymphoma of the scrotum in patients with Down’s syndrome: US appearance. Mini-pictorial essay. J Ultrasound. 14(4): 216-219. 49. Mendez AA, Keret D, MacEwen GD. (1988). Treatment of patellofemoral instability in Down's syndrome. Clin Orthop Relat Res. (234): 148-158. 50. Merrick J, Ezra E, Josef B еt al. (2000). Musculoskeletal problems in Down syndrome European Paediatric Orthopaedic Society Survey: the Israeli sample. J Pediatr Orthop B. 9(3): 185-192. 51. Niceta M, Stellacci E, Gripp KW еt al. (2015). Mutations impairing GSK3-Mediated MAF phosphorylation cause cataract, deafness, intellectual disability, seizures, and a Down syndrome-like facies. Am J Hum Genet. 96(5): 816-825. 52. Satomi K, Yoshida M, Matsuoka K et al. (2014). Myelopathy mimicking subacute combined degeneration in a Down syndrome patient with methotrexate treatment for B lymphoblastic leukemia: report of an autopsy case. Neuropathology. 34(4): 414-419. 53. Corone S, Davido A, Lang T, Corone P. (1992). Outcome of patients with Eisenmenger syndrome. Apropos of 62 cases followed-up for an average of 16 years. Arch Mal Coeur Vaiss. 85(5): 521-526. 54. Inaba H, Zhou Y, Abla O et al. (2014). 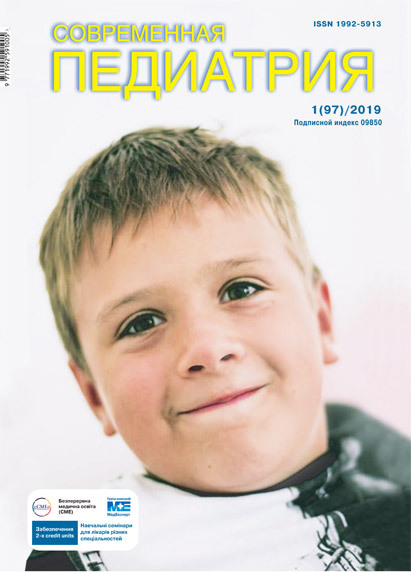 Pediatric acute megakaryoblastic leukemia without Down syndrome: a retrospective study by the international Berlin-Frankfurt-Munster Study Group (I-BFMSG). Blood. 124: 3670. 55. Petershofer A, Fingernagel T, Trieb K. (2015). Patellofemoral instability in trisomy 21: MPFL-Reconstruction as a single procedure. Orthopade. 44(8): 643-646. 56. Prasanna Ghimire, Guang-Yao Wu, Ling Zhu. (2011). Primary gastrointestinal lymphoma. World J Gastroenterol. 17(6): 697-707. 57. Bhat AS, Chaturvedi MK, Saini S et al. (2013). Prevalence of celiac disease in Indian children with Down syndrome and its clinical and laboratory predictors. Indian J Pediatr. 80(2): 114-117. 58. Dixon NE, Crissman BG, Smith PB еt al. (2010). Prevalence of iron deficiency in children with Down syndrome. J Pediatr. 157(6): 967-971.e1. 59. Jung JG, Kang HW, Hahn SJ et al. (2013). Primary mucosa-associated lymphoid tissue lymphoma of the esophagus, manifesting as a submucosal tumor. Korean J Gastroenterol. 62(2): 117-121. 60. Ueda K, Kawaguchi Y, Kodama M et al. (1981). Primary myelofibrosis with myeloid metaplasia and cytogenetically abnormal clones in 2 children with Down's syndrome. Scand J Haematol. 27(3): 152-158. 72. Rabin KR, Hitzler J, Rodriguez V et al. (2015). Treatment-related mortality (TRM) in children with Down syndrome (DS) and B-lymphoblastic leukemia (B-ALL): an interim report from the children's oncology group Trials AALL0932 and AALL1131. Blood. 126: 2502.